This t he zampogna and the pifero from Italy. 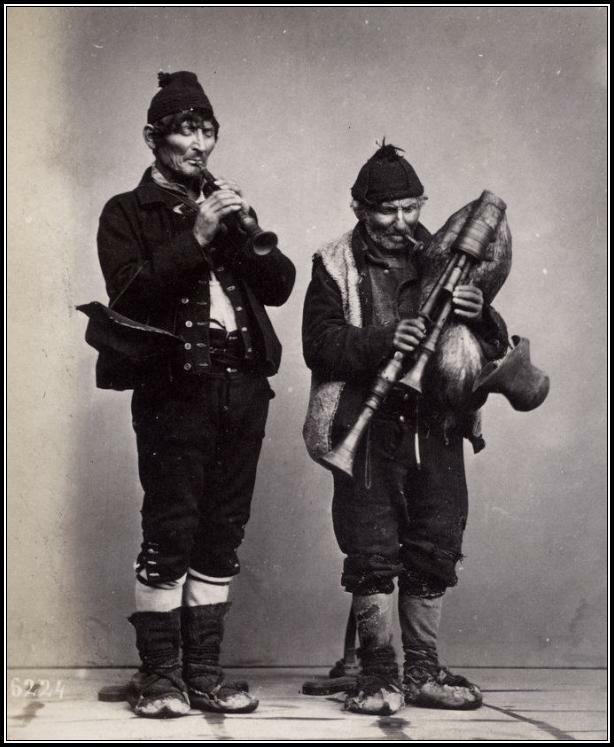 Notice that the zampogna player has his hands on two different chanters. The notes of the right and left hands are split between the two chanters making it possible to play in harmony with onself. Many folks are familiar with The Carol of The Pipers. It comes from zampogna playing and a single player can play the harmonies that are part of the tune. If you look on Youtube you can find quite bit of this music and thus it would not longer be something you’d like to hear, but rather something heard and enjoyed! I love zampogna and piffero! And I have heard lot’s of it and I still like it! 🙂 “Music I’d Like To Hear” refers to musicians who are dead and gone that I usually won’t gt to hear but luckily most of these traditions continue! Be gentle to all, and stern with yourself.